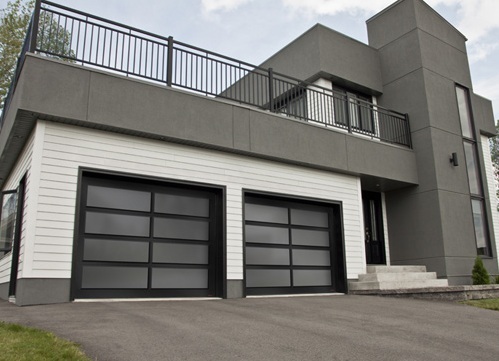 Nearly every home these days utilizes a mechanical garage door for safety and convenience. However, when you encounter problems with your door, track, and other components, it may seem as if there are no convenient options for assistance on any garage door repair San Jose. Five Star Garage Door Service continues to provide same day assistance and affordable pricing on complete garage door service needs. Since 1985, we’ve assisted countless San Jose, CA residents with the repairs that they can’t find anywhere else. Other garage door service providers may not get to your job for days or even weeks after you’ve called for assistance. When you choose the expert company for your doors, we always make your call a priority. Whether you discover that your vehicle gets locked within due to a busted track, you can’t access it from the outside, or have any other concerns; we are the best choice for you every day. Contact our team 24-hours every day and experience the best in garage door repair San Jose. Contact us now if you are encountering any issues with your garage doors, and we will be there for you fast. See why more residents trust their doors with us over any other provider. Some garage door companies are more interested in upselling you to a new, more expensive system. Others rely on subcontractors to get the job done without supervision. For more than 30 years, our team has provided nothing but the best in affordable solutions for any repair need. We understand that all garage doors at some point will encounter problems, regardless of their price sticker. Whether the problem you’re facing stems from a single component that has worn out or you require complete garage door maintenance, we can handle it all for less. When you choose us, you can rest easier knowing that you’re hiring the expert option in total repair services. No matter your exact repair needs, our team always has the affordable solution for you. Call today for faster service or for a free estimate to see how we will best service your doors. We have over 500 five star reviews! There's only one way to get that kind of reputation and that's by earning it. We provide same day service on all repairs. No one in the bay area provides the same quality services as quick as we do. We guarantee that our rates are the lowest in all of the bay area. As a family owned business, we believe that we can deliver high quality services without breaking your bank. We work directly with the top manufacturers which allows you to purchase your garage door directly with us. Select your favorite door, or customize your own. Whether you purchased a Five Star Garage Door or bought one elsewhere, we can install your door with our expert technicians. You'll receive five star services with a low price. We depend on our garage doors to perform how we expect every day. However, with so many different components working together, it’s only a matter of time before you encounter an issue. The typical homeowner likely won’t be able to tell what the cause of their issue is, which often leads to them trying to understand the problem. Unfortunately, the coils, springs, and other parts store massive amounts of dangerous kinetic energy, making them a serious threat. No matter what is causing your door to quit operating correctly, we can’t stress enough to keep the area clear of all people. Broken garage doors can remain unpredictable, and injuries often occur quickly. That is why our company continues to provide 24-7 emergency services to get your doors operating again faster. We understand that when you have children, pets, and other people living at home, they are all potentially at risk while the door isn’t working. We always want our customers to call our team with the confidence that they need, even if they aren’t sure why their doors aren’t working. When you need quality repair services today at affordable pricing, look no further than Five Star Garage Door Service. We Can't Help It. People Love Us. We are rated the #1 garage door company in San Jose. ...But don't take our word for it. 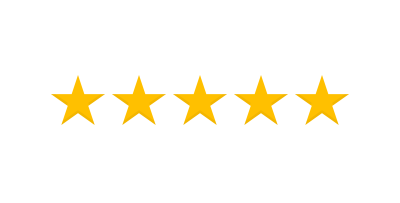 See what others (over 500 to be exact) had to say about their five star experience. Five star garage door service definitely lived up to their name. I had two of my garage door springs go out. I messaged them on Sunday evening and they had someone come out on Monday morning! I wasn't home when they came, but my wife said the tech was very fast and friendly. They not only stuck with their original quote but also serviced the garage door for free. Great service, that I would recommend to everyone! Yesterday I had Manny come out from Five Star Garage Door Service. Within 30 minutes he'd replaced the springs, serviced & lubed the door & left me with a perfectly functioning garage door at a reasonable price. He was pleasant & efficient ... I would definitely recommend them & use them again. While today’s garage door systems are more sophisticated than they’ve been in the past, the small door spring is a typical issue most homeowners encounter. Whether your particular door system contains a torsion spring or an extension spring, they all wear out eventually. Torsion springs twist when the garage door opens or closes, producing tension in the opposite direction it’s getting pulled. That force is what helps propel the door up and down as the track circulates. Extension springs, on the other hand, offer support to the door, and they run on either side. Over time, they can wear out, making the door not open or close correctly. Whichever springs are causing your issues, we guarantee the best repairs and replacements possible. Most springs are a quick repair, allowing us to get your door operating again quickly. If your door isn’t rising or lowering, or you’ve heard a deep audible pop, it’s likely a spring that has worn out. Call us immediately and keep the area clear so that we can continue your family safe. Garage door tracks do not last as long as they have in the past. Manufacturers make some track components out of plastic rather than metal, which will wear down after too much use. Instead, call us today, and we will take care of it all, including replacement parts and track realignments. Whether your garage door track has a busted chain, an obstruction, or a worn-out pulley, we can change it all out fast. Your door’s vertical tracks can encounter issues as well that may prevent them from rising and falling as they should. Your vertical rollers can also wear down, and the tiniest obstruction can cause doors to stick in place. Whenever you notice issues concerning your door’s tracks, don’t hesitate to call us right away. We guarantee faster responses and quality repairs for any situation. Today’s workforce means it’s far more common that someone works nights, weekends, and irregular schedules. Unfortunately, many repair service providers still stick to a typical eight-to-five work day. We understand that just because a particular time slot is convenient for our technicians, it doesn’t always mean that it works best for you. Instead, we can offer our best garage door repair options any time, day or night. Whether your job requires you to work the third shift or your hectic schedule requires a different service time, we can work around your needs every day. When you schedule repairs for your home, it helps to know that we can be there whenever you need us most. Why should you continue putting your repair needs off because it isn’t convenient with your work schedule? Instead, you can have convenient service whenever you find your doors inoperable. Call us for your free quote or to have us service your doors. When you hire us for your home, we never stop working until your job gets completed. Because there are so many mechanical components to your door, the electrical aspects can get overlooked. Sometimes the problem is as straightforward as replacing an opener’s batteries, or they may require complete replacements. Whether your wall mounted opener has a wiring problem, eye sensor beams aren’t aligned correctly, or your remote controls aren’t doing the job, we can solve all your opener’s issues. As your expert San Jose garage door company, we have all the necessary replacement parts in-house and ready to install. You might think initially that the opener’s symptoms are a straightforward fix. While some problems are relatively simple, there’s no way of knowing until you begin dissecting it. More than one homeowner has turned a dangerous situation worse by thinking it’s one issue, only to discover the hard way that it’s something more complicated. 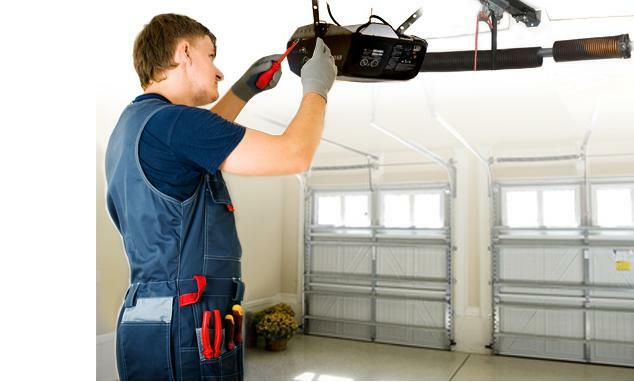 When you need to avoid leaving your garage door opener in pieces, you need our expert service technicians to help you. Don’t allow broken door openers and misaligned sensor beams to prevent you from operating your garage doors. Instead, call us, and we can fix it all faster than anyone else around. We know that there are many providers for garage door repair services. However, few offer the level of dedicated experience that we do. For the last three decades, we remain the trusted choice in complete San Jose repair options. We ensure all of our experienced technicians come prepared with all the professional tools and equipment that they need to correct your issues quickly. Because we are also certified garage door sellers, we have whatever you may require, stocked and ready to install. Anything from door panels to track rollers are available for your job, all without the long waiting periods for manufacturers to ship them first. When you need the trusted name in local repairs and installations, look no further than Five Star Garage Door Service. Call our office for your free quote and experience the best in San Jose repair solutions.